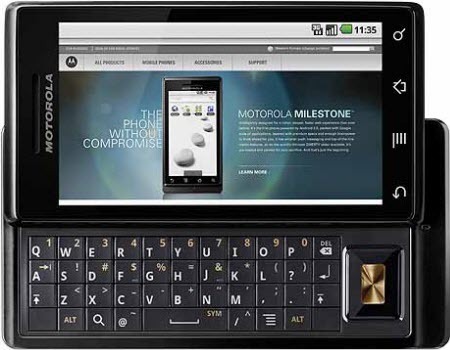 Motorola Milestone is one of the most popular Android smartphone manufactured by Motorola. This handset originally comes with the Android 2.1 (Eclair) OS, but after waiting for more than a year, Motorola Milestone finally gets the Android 2.2 (FroYo) OS. Motorola Milestone users can easily upgrade to Android 2.2 via. Motorola Software Update (MSU). Check out the complete changelog, after the break. device’s memory or on a SD card. Improved Hotmail sync for accounts with a large number of emails. To upgrade your Motorola Milestone, head over to this page.